The fatal shooting of two workers in an apparent clash between unions at a Canadian-owned mine in Mexico angered labor activists at NAFTA talks on Monday who said the violence was an example of poor labor conditions in the country. 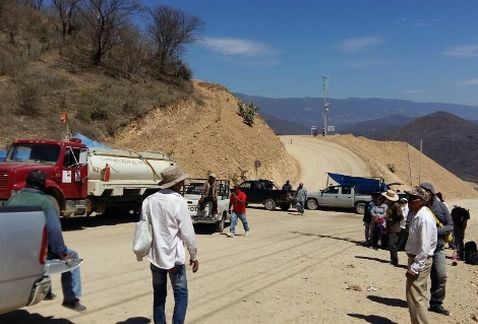 Gunmen shot the two workers on Saturday at a blockade mounted as part of a stoppage they were participating in at a gold mine owned by Toronto-based Torex Gold Resources Inc, Mexico’s National Union of Mine, Metal, Steel and Allied Workers said in a statement. Torex did not immediately respond to a request for comment. Its Media Luna mine is located near the town of Azcala in southern Guerrero state. Labor conditions in Mexico are a key element in talks about renegotiating the North American Free Trade Agreement. Canada and the United States argue that weak unions and low wages south of the border tilt the 23-year-old deal in Mexico’s favor while leaving workers under-protected. U.S. President Donald Trump called for the trade deal to be reworked to favor the United States. The three countries are trying to wrap up a new agreement by early next year. At the fifth round of talks attended by Canadian, Mexican and U.S. negotiators in Mexico City on Monday, a visibly upset Jerry Dias, president of Canada’s largest private sector union Unifor, blamed the deaths on precarious working conditions in Guerrero. The stoppage at the mine was called by workers who want to change unions from the Mexican Workers Confederation, known as the CTM in Spanish, to the more independent Miners Union, which accused CTM-linked gunmen of carrying out the attack. Reuters calls to CTM offices went unanswered on Monday, which was a holiday. Speaking in Mexico City on the sidelines of talks between Mexico, Canada and the United States to rework the North American Free Trade Agreement, Dias pledged to visit the mine on Tuesday and show solidarity with striking miners in the state. “This has to be fixed and I‘m challenging the President of Mexico – you need to do something about this,” Dias said.